He was born in Liberty, KY on February 14th, 1935 a son of the late Preston and Ada Mae Games Murphy. He was a farmer, an avid hunter and a member of Carr's Chapel Church of God. He was the son of the late Peston & Ada Mae Games Murphy. His wife, Vallie Jean Atwood Murphy, survives. He leaves nine direct living descendants. 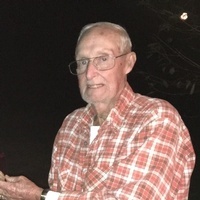 Lyndon Murphy age 83, of Liberty, KY passed away on Monday February 26, 2018 at his residence. Funeral Services will be held 12pmCT/1pmET Wednesday February 28th, 2018 at Bartle Funeral Home Chapel. Bro. Dave Holt officiating. Burial will in the Caney Fork Cemetery in Casey County, KY. Visitation will be held from 5pm-8pmCT/6pm-9pmET Tuesday February 27, 2018 and after 7amCT/8amET Wednesday February 28, 2018 at Bartle Funeral Home Chapel. Lyndon Murphy age 83, was born in Liberty, Casey County, KY, on February 14, 1935. He was a son of the late Preston & Ada Mae Games Murphy. He passed away on Monday, February 26, 2018 in Liberty, Casey County, KY, at the age of 83 years and 12 days. Lyndon was a farmer, an avid hunter and a member of Carr's Chapel Church of God. Besides his parents he was preceded in death by three brothers: Kelly, Leonard and Gregory Murphy, and two sisters: Locia Pingleton and Dorsey Murphy. Send condolences to the family of Lyndon Murphy. Bartle Funeral Home, 142 KY Hwy 49, Liberty, KY, is in charge of arrangements.